Ooh! that coffee ice cream looks yum! Awesome challenge! 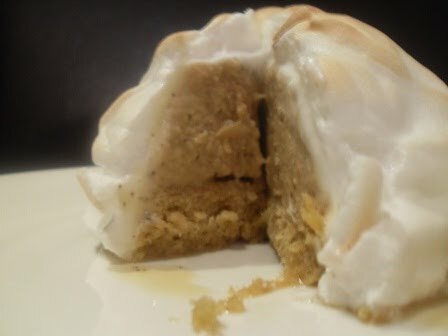 OMG that looks incredible! 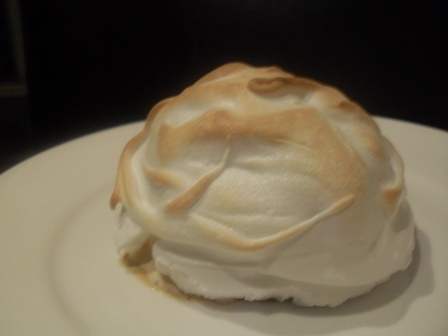 I've always loved baked Alaska & it's easier than the spectacular results suggest. The ice cream sounds positively DIVINE! Good stuff with that meringue, looks decadent. i chickened out and did the petit fours and store bought ice cream. Also I am totally feeling that coffee ice cream!